I have a Samsung electric range. Was doing a self cleaning cycle for the first time. The main display panel went off and the oven door will not open. I use my range daily so I decided to run a self clean. After the self clean, the display panel is blank. Also the door for the oven is not opening and is locked. Everything worked perfectly until the self clean mode. I checked the breaker and it is ON. I checked the service manual for my Samsung range and found it has a Range/Stove/Oven High Limit Thermostat that can trip if it gets too hot. I have done research and found that the self clean mode can trip the high limit thermostat. I want to check the thermal fuse and high limit thermostat. Do I remove the back panel of the range or do I need to open the front oven door? If my Samsung range door is locked, how do I open it? First remove the back panel. Get a flashlight and look inside. There is a small motor that turns a shaft that goes all the way to the front of the range. Disconnect the rod from the motor and turn it by hand to unlock the door. The door should now be unlocked and you can open the oven door normally. Now, leave the back panel of the range removed so you can check the thermal fuse and or the high limit thermostat. Note: Depending on the model number of your Samsung range, the method to open the door may differ. 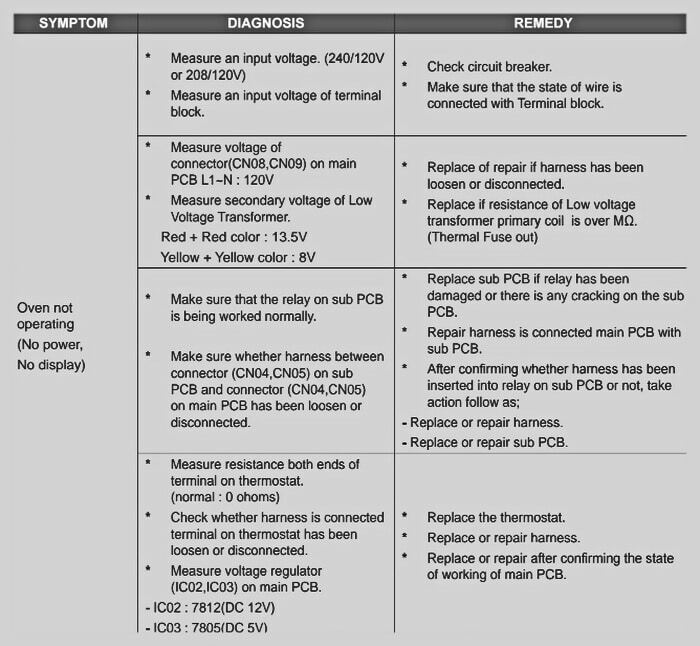 Also, the location of the thermal fuse or high limit may differ, consult your manual before attempting to replace. The solutions below are generalized guides to fix a Samsung Range. Find your range model number to be sure. 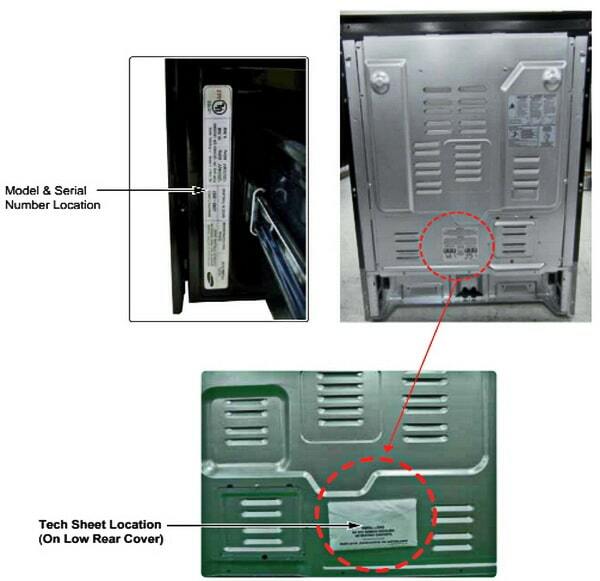 Solution 1 – When you have the door unlocked, remove the front panel and the thermal fuse or high limit should be visible. Remove the wires on the component, get a multimeter and check for ohms and continuity. If you have NO continuity then the thermal fuse or the high limit is blown. Solution 2 – Check the High Limit Thermostat and or Thermal fuse. Use your flashlight and find the wiring for the thermal fuse and or the high limit thermostat. Remove the wires on the component, get a multimeter and check for ohms and continuity. If you have NO continuity then the thermal fuse or the high limit is blown and needs replaced. Solution 3 – To test if the issue is ONLY the thermal fuse or high limit thermostat, you can attach the two wires together and restore power to the stove/range. If the range display comes back to life and actually displays again, then you know the thermal fuse or high limit is faulty. Purchase a thermal fuse or high limit and replace it and your range should work with no issues. If after testing the wiring by attaching them together, then you may need a new main board and a fuse or high limit. What does the High Limit Thermostat / Thermal Fuse Do? The High-limit thermostat trips when the controls are not working as designed and the temp in the range or oven gets excessively hot. -When the heat is excessively hot, the high limit will trip and the range or stove will not work. 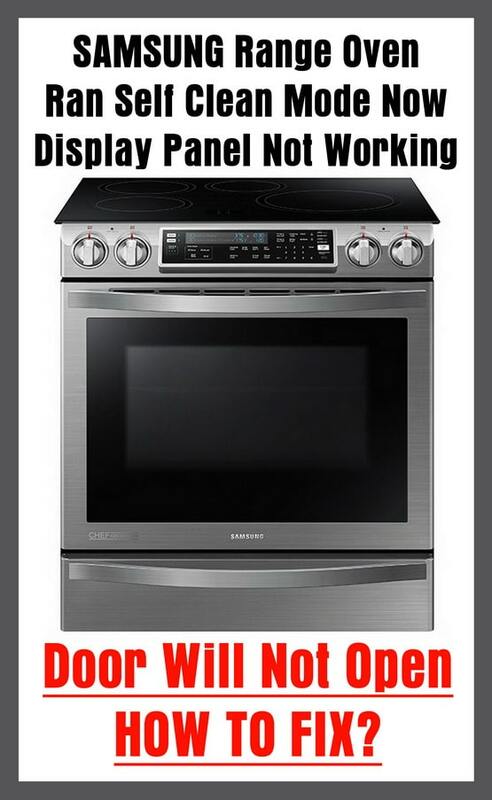 -Depending on which model number stove or range you have, the control panel may be dead but the range or oven MAY still work. -Either way if this happens the Range High-Limit Thermostat must be replaced. Previous post: GE Electric Dryer Starts When Turning START Knob But STOPS When Released – How To Fix?